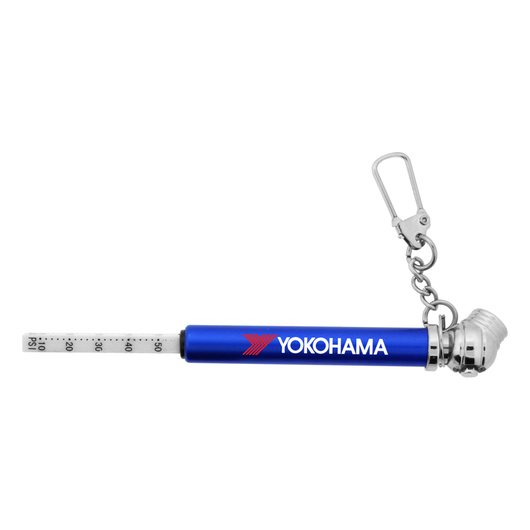 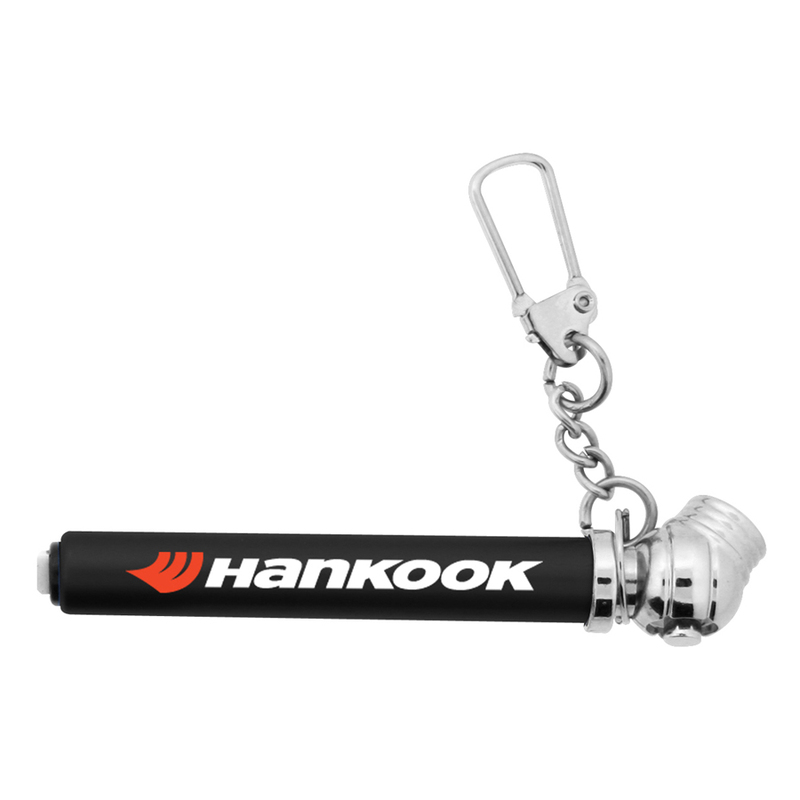 A keyring with a built in tyre gauge that's great for easily measuring on the go. 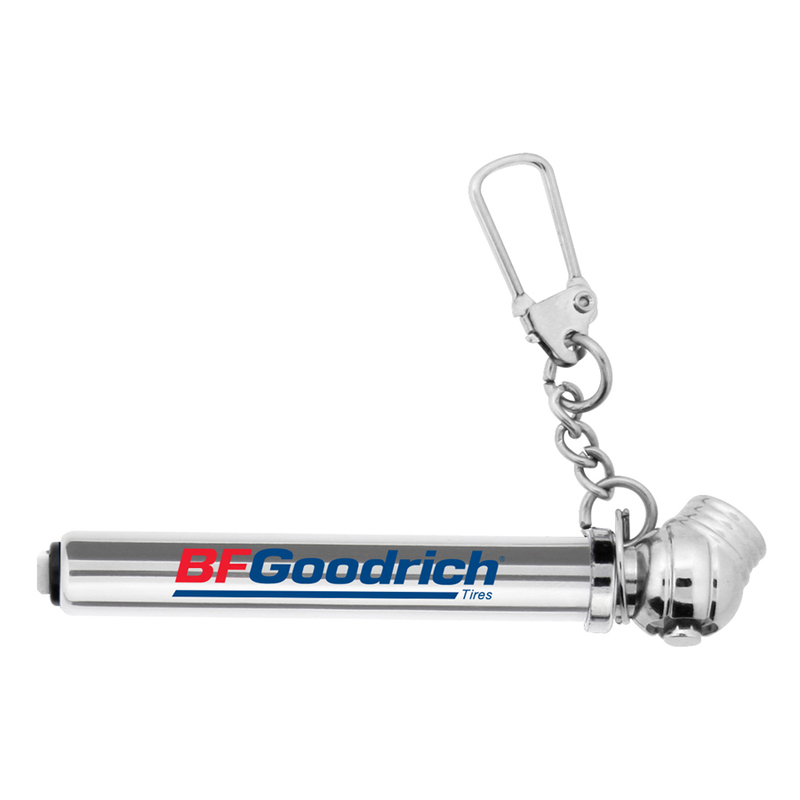 Get your logo remembered with some of these sleek tyre gauges with a keyring clip that calculates PSI up to 75 lbs. 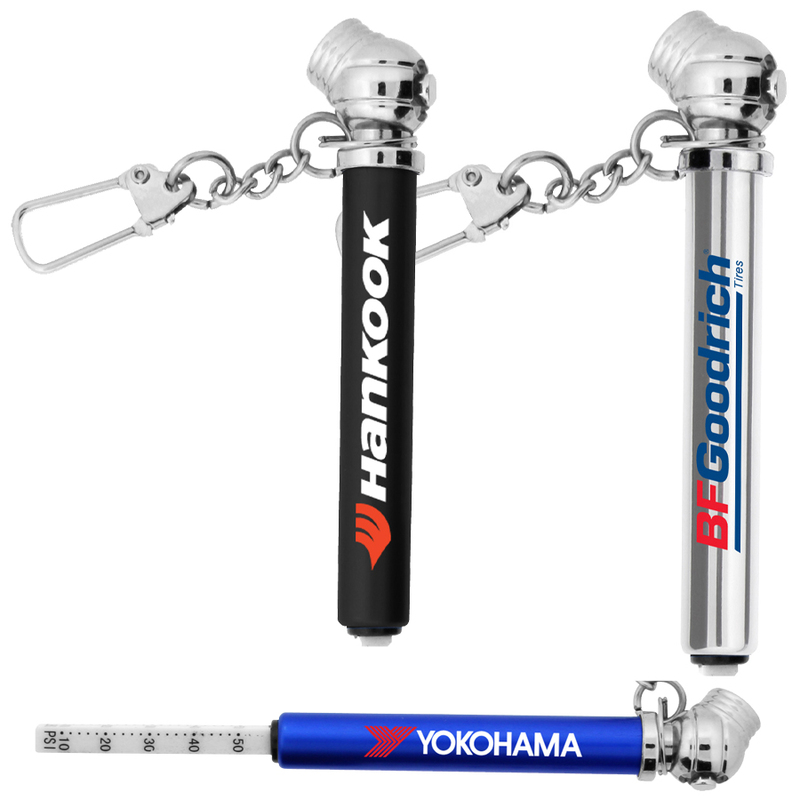 Easily allows you to ensure your tyres are at an optimum pressure level. 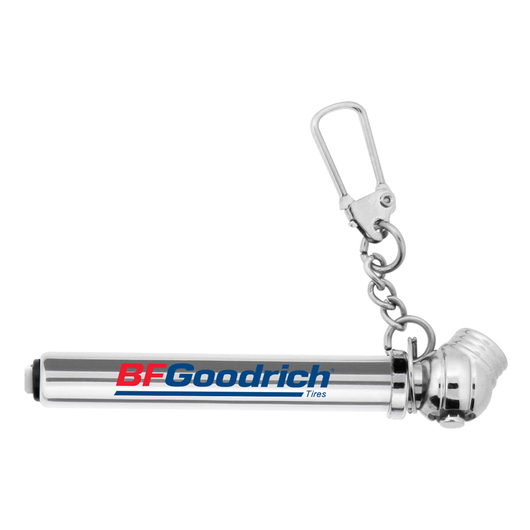 We recommend a laser engraving on these for a longer lasting promotion.